Tested to the limits by championship-winning race car drivers,† the ExtremeContact™ Sport satisfies even the most demanding driver. 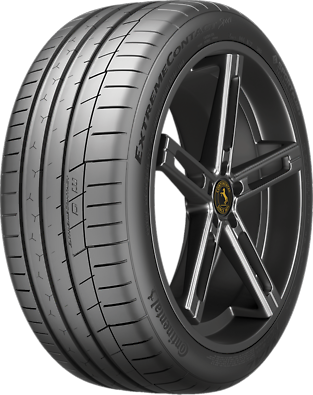 This dynamic, ultra-high performance street tire is built for car enthusiasts and engineered for extreme grip in dry and wet conditions. Provides precise steering for maximum control and enhanced grip on wet roads, while improving tread life. Indicators visually inform drivers to the level tires are performing in dry and wet.